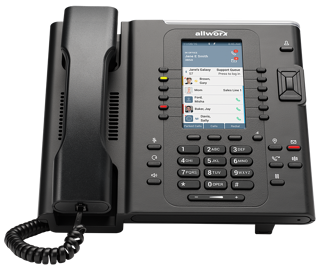 With a Verge IP phone on your desk and the Allworx Reach™ app on your favorite mobile devices, you can talk in the office or on the go. Without missing a beat. 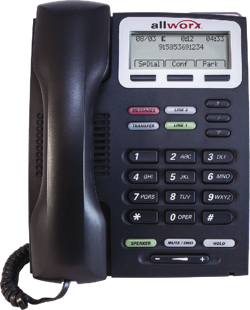 We believe your business phone should work the way you like to use it. 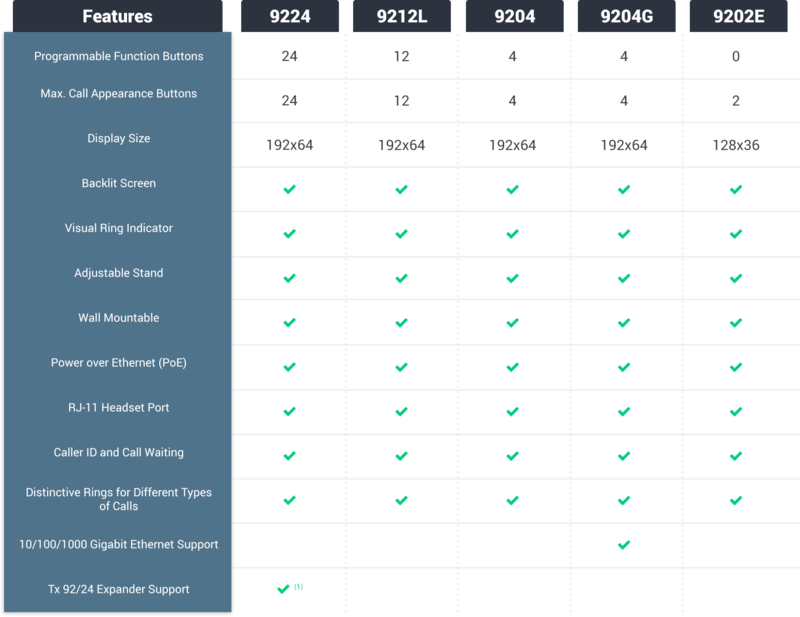 Use the Programmable Function Buttons to customize your individual phone. Speed dial your favorite personal contacts or colleagues in the corporate directory. For colleagues who are also in the Allworx system, you can see their presence setting and real-time call status (active call, active ringing, or do not disturb). Used by call center agents to receive incoming calls into their assigned ACD queues. They can also use this button to log in/out and update temporary status (e.g., break, lunch). 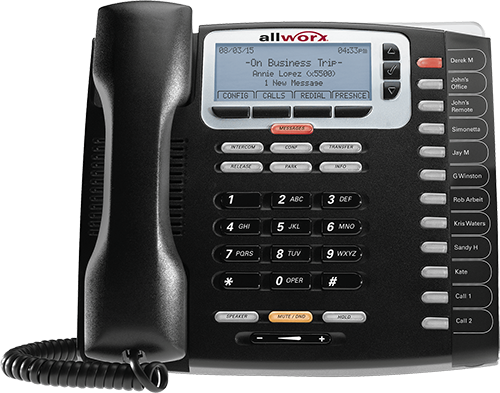 This feature requires an Allworx Automatic Call Distribution (ACD) software license key. Allows supervisors to participate in any agent calls in three possible modes – silent (just listening), whisper (only the agent can hear the supervisor), or barging (supervisor can join the active ongoing conversation). Flashes alternating red and amber colors when 911 is dialed within the Allworx system. It also indicates the extension from which the call is made so you can direct the emergency crew to the exact location. 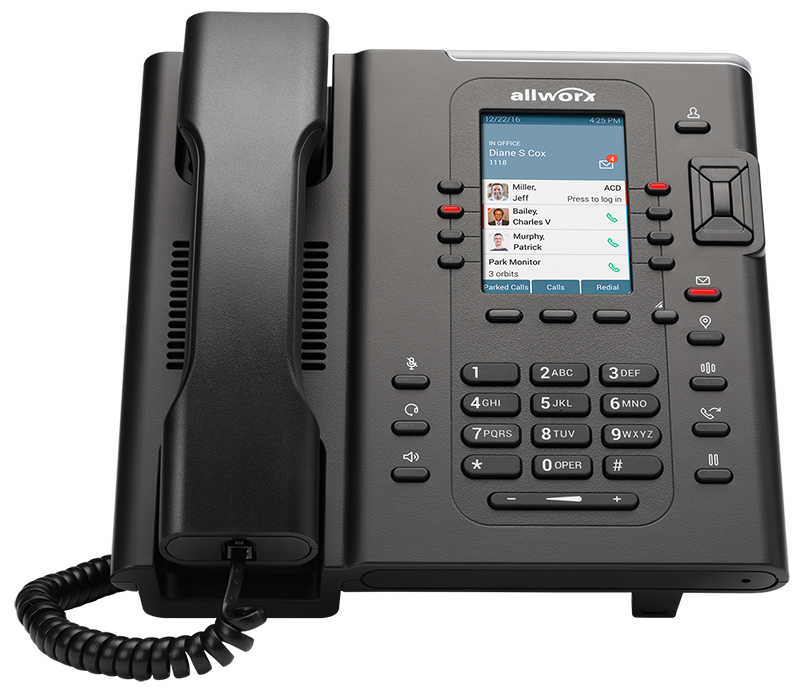 Great for shared or temporary work spaces where users must share the same Allworx IP phone. 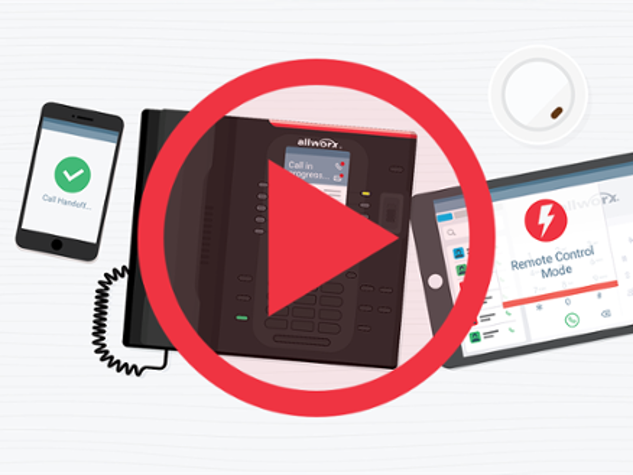 Once a user logs in with a unique extension and pin, that shared Allworx IP phone automatically becomes his/her unique extension. Allows you to monitor parked calls that are waiting to be answered. If you have a multi-site configuration set up, you can monitor parked calls on other Allworx sites as well. Alerts agents when callers in a specific queue have exceeded a specified wait time and/or a specified number of callers are waiting in that queue. This feature requires an Allworx Automatic Call Distribution (ACD) software license key. Useful when you want to share a line(s) among multiple users. Do you and your colleagues want to be able to say “Hi, there is a call for you on line one”? It can be easily set up in an Allworx system. 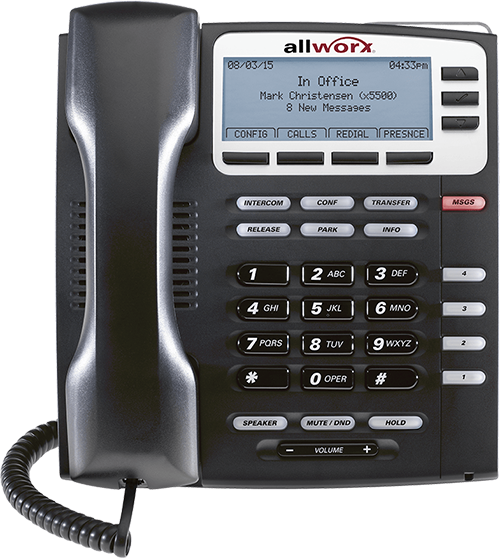 To see the complete list of programmable functions, download the Allworx IP phone user guide or brochure from the Allworx Resources page. 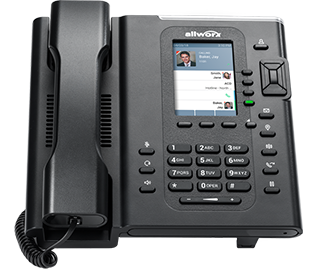 Verge IP phones contain, in part, open source software that has been developed by third parties without any affiliation to Allworx. To learn more, visit Allworx open source software page. It’s easy to grow your business with Allworx Connect. Not sure how many employees you’ll be adding in the future? You can always trade up from one Connect system to another with ease. Or perhaps you have an older Allworx system (6x12, 6x, 48x, or 24x) you’re looking to upgrade? Trade it in for a brand new Connect system at a price that’s easy on the wallet.